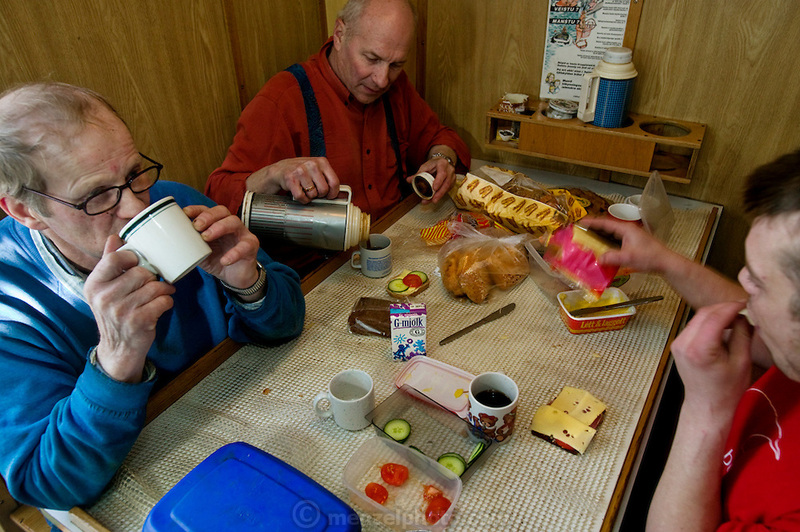 Icelandic cod fisherman Karol Karelsson (middle) makes a cup of coffee in the galley of a fishing boat near the small port of Sandgerdi on the western side of Reykjanes peninsula, Iceland. (Karol Karelsson is featured in the book What I Eat: Around the World in 80 Diets.) MODEL RELEASED.